Food and activist events: They go together! Updates on suffrage centennial celebrations! Chef Ted Cutting pays a visit to Suffrage Wagon Cooking School! on Vimeo. 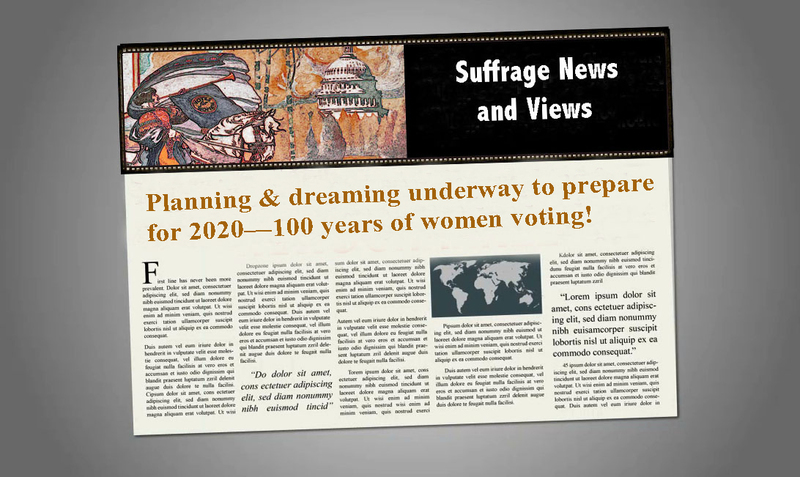 Celebrating 100 years of women voting: Program at Suffrage Wagon Cafe on Vimeo. Women’s Suffrage Campaign Wagon on exhibit into 2018 at the New York State Museum on Vimeo. Follow Suffrage Wagon News Channel on Facebook and Twitter. Quarterly newsletters just by signing up. Suffrage Wagon News Channel has a video platform on Vimeo. Meet your friends at the Suffrage Wagon Cafe. Follow SuffrageCentennials.com, our sister site, for news and views about upcoming suffrage centennials. “Choose it and Use it” is a video reminding us of how the past is linked to what we do today and its impact on the future. 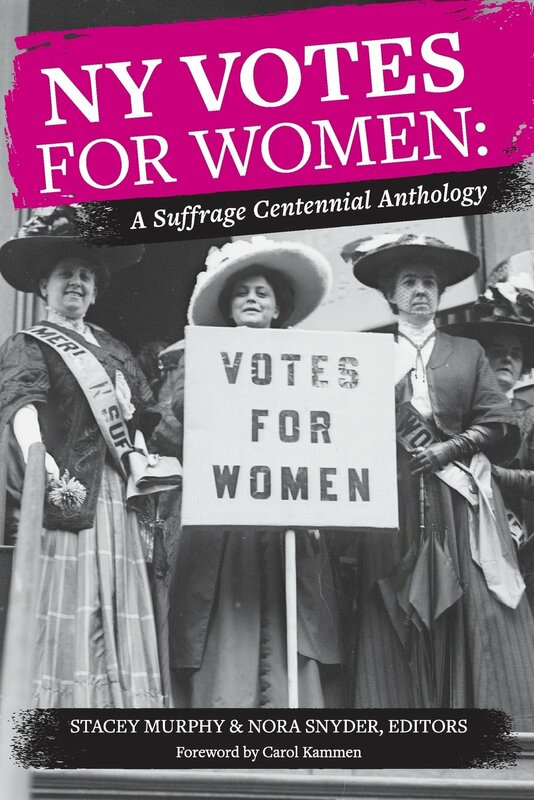 Suffrage anthology launch party & readings! Thursday, October 26, 2017 is the reading and launch party for “NY Votes for Women” at the History Center in Tompkins County (Ithaca, NY). Twenty-one women explore these questions in a variety of engaging memoirs, stories and poems. Join Cayuga Lake Books, the Anthology editors, and readers. Order the book online. Another reading is scheduled for Fayetteville, NY at the Matilda Joslyn Gage House. Follow SuffrageCentennials.com on Facebook page, Twitter, email subscription, and the Quarterly Newsletter. Sign up for email on this web page. Stay up to date with postings, audio podcasts, and videos. Plan for your suffrage centennial event. 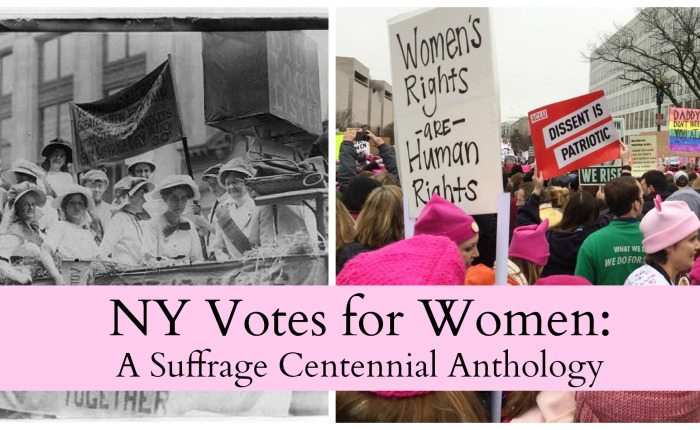 Suffrage centennial events in Albany and New York City—celebration continues! New York State Museum will exhibit “Spirit of 1776” suffrage wagon in 2017! on Vimeo. The suffrage wagon used by Edna Kearns on Long Island and in New York City will be part of a large Votes for Women exhibition at the NYS Museum in Albany, NY. The show, “VOTES FOR WOMEN: Celebrating New York’s Suffrage Centennial” opens on November 4, 2017 and runs through May 13, 2018. The exhibition is being organized by the New York State Museum, New York State Library, and New York State Archives. If you’re planning a trip to the “cradle” of the women’s rights movement in NYS during 2017, watch for upcoming news about special events, celebrations, conferences, and much more. New York State has a funded state suffrage commission that met during 2016 and 2017 and will continue meeting through 2020, the 100-year observance that American women have been preparing for. This means local, regional, state, and national events and celebrations. The Votes for Women exhibit will feature collections from the New York State Museum, New York State Library, and the New York State Archives, as well as artifacts from historical institutions and private collections. “Spirit of 1776” wagon story featured in NYS women’s suffrage anthology! 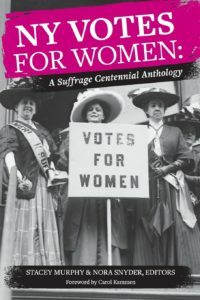 The story of the “Spirit of 1776” wagon is featured in NY Votes for Women: A Suffrage Centennial Anthology, a project of the Writer’s Block Party, an informal group of novice and experienced writers, who discuss the writing process and experiences as well as ask questions and seek support. It is scheduled for release soon by Cayuga Lake Books in Ithaca, NY. State of New York rolls out red carpet for 100 years of women voting on Vimeo. Travel to celebrate the 2017 New York State suffrage centennial! on Vimeo. The suffrage activists were “there” for us. Let’s be “there” for them by voting and becoming leaders in the world today. More information. Find out even more. 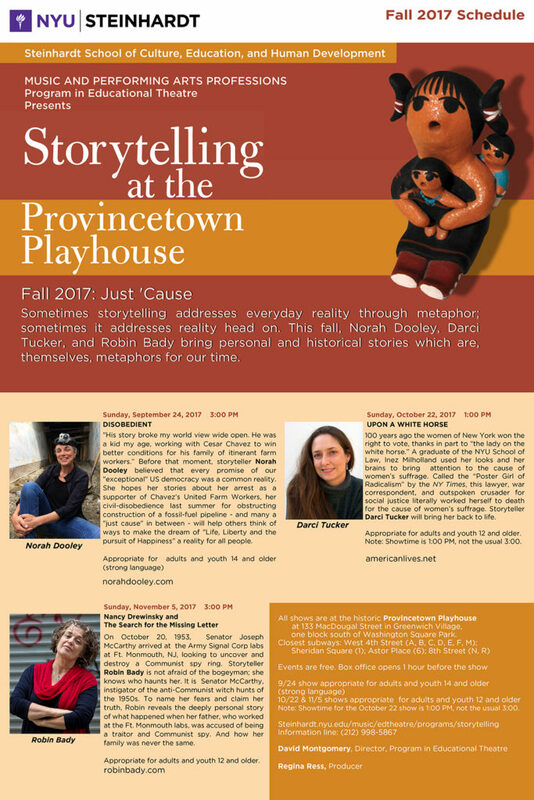 New York State suffrage events take off! The New York Women’s Vote Centennial Project is a partnership on the NYS governor and lt. governor and the American Federation of Teachers and First Book celebrating the 100th anniversary of women’s suffrage in New York on November 6, 2017. The competition invites teachers to develop classroom projects and activities to mark the suffrage centennial. Fifteen winners will be chosen. Projects may focus on women’s history, civic engagement, the democratic process, equal rights, or a related topic. Educators and students are encouraged to explore the question: 100 years from now, when future generations look back, what will our equal rights legacy be? Projects for any grade, K-12, will be considered. October 11, 2017 is the application deadline. The New York State Women’s Suffrage Commission, chaired by Lieutenant Governor Kathy Hochul, is organizing programs to commemorate women’s suffrage between 2017, To learn more, visit www.ny.gov/suffrage. The New York Women’s Suffrage Centennial Conference, celebrating the centennial of women’s suffrage in New York State, will be held on Saturday, November 4 at the Archives Partnership Trust headquarters located at the Cultural Education Center, 222 Madison Avenue, Empire State Plaza in Albany. The celebration continues after the conference when the League of Women Voters of New York State Education Foundation and the New York State Archives host an opening reception of Votes for Women: Celebrating New York’s Suffrage Centennial. Votes for Women is an exhibition organized by the New York State Museum to commemorate the 100th anniversary of women’s right to vote in New York State. For more information on the evening reception and for tickets, click here. The best roast corn recipe from Suffrage Wagon Cooking School! Suffrage Wagon Cooking School features the dessert recipes of Eighty Bug on Vimeo. 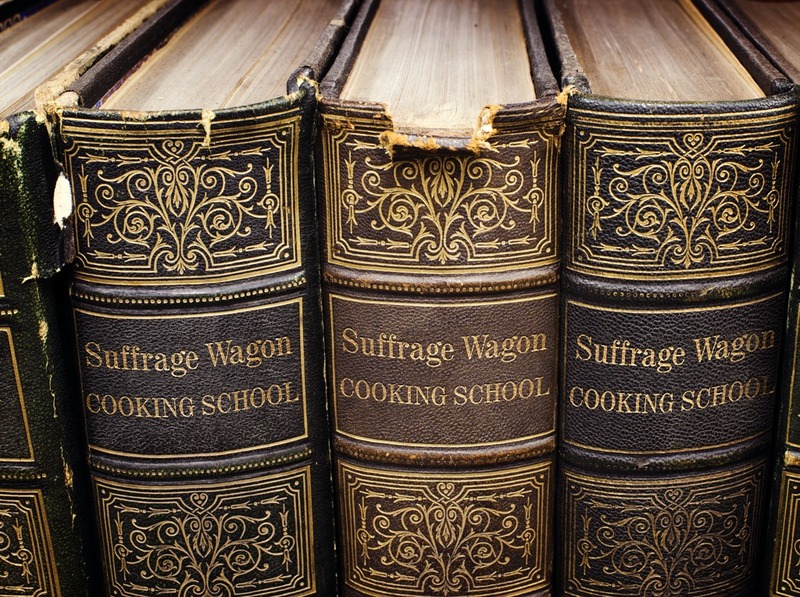 Voting Rights: The why of Suffrage Wagon Cooking School on Vimeo. Celebrate Pi Day with American apple pie for women voters! on Vimeo. 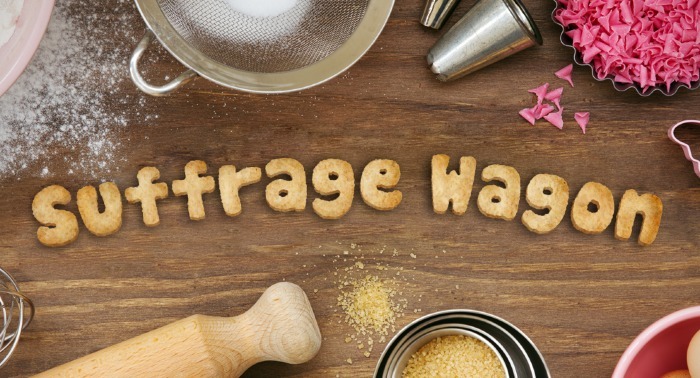 Suffrage Wagon Cafe & Suffrage Wagon Cooking School: Important announcement! on Vimeo. Follow Suffrage Wagon News Channel on Facebook and Twitter. Quarterly newsletters just by signing up. Suffrage Wagon News Channel has video platform on Vimeo. Meet your friends at the Suffrage Wagon Cafe. Follow SuffrageCentennials.com for news and views about upcoming suffrage centennials. 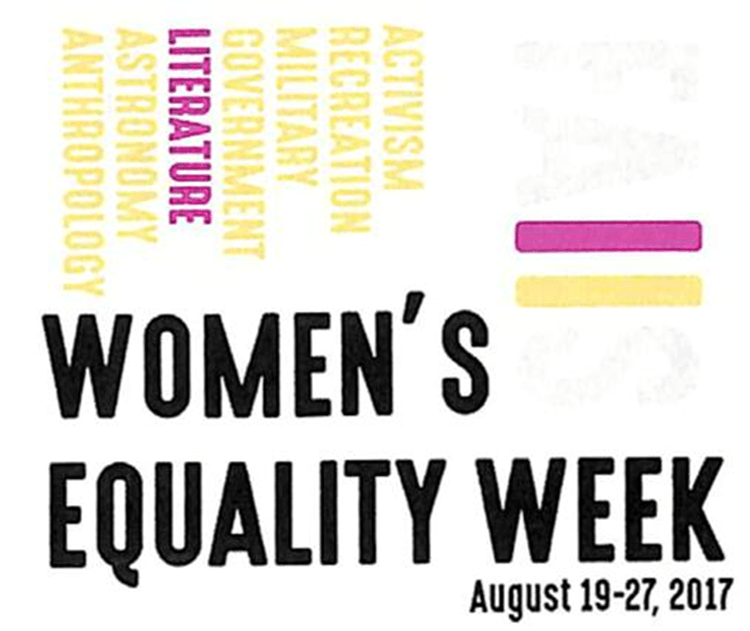 Women’s Equality Week in Seneca Falls, NWHP Gazette available, events & programs! “Spirit of 1776” women’s suffrage wagon on exhibit in 2017! on Vimeo. The National Women’s History Project has published a special issue of the Gazette—”How Women Won the Vote.” The publication is available for events and observances in time for August 26th, Women’s Equality Day. A single copy is free. Bulk orders are $10 for 25 copies. Contact the NWHP for details. A women’s convention is planned for October 2017 in Chicago. The event will attract thousands of women of all backgrounds to Detroit from October 26 – 28 for a weekend of workshops, strategy sessions, inspiring forums and movement building to continue the preparation for the 2018 mid-term elections. Early registration is available. Contact Mariam at mariam@womensmarch.com with questions, comments, or ideas. Women’s Equality Week will be observed from August 18 to August 27, 2017 at the Women’s Rights National Historical Park in Seneca Falls, NY. Each day during the week will feature presentations on one of eight women. Ranger led talks on each individual will take place at 11 am and 3 pm. Nineteen additional women will be highlighted with displays and descriptions. Planning a trip? Include a visit to the New York State Museum in Albany, NY for its votes for women exhibit that opens on November 4, 2017 in Albany for a much-anticipated display of New York’s treasures, many of them never seen in public before. The “Spirit of 1776” suffrage campaign wagon used by Edna Kearns will be part of the exhibit. Organizing an event or celebration for August 26th—Women’s Equality Day? There is movement underway to build support to make the date a national holiday. Get busy now on the local and state level and visit the National Women’s History Project web site for details. Visit our Vimeo channel for videos and special announcements. 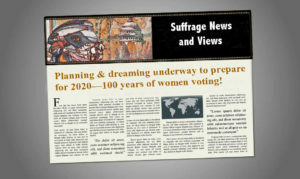 Follow SuffrageCentennials.com for news and views about upcoming suffrage centennials.